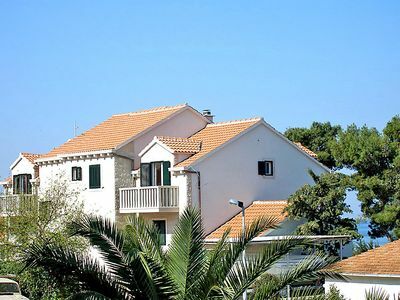 Sveti Lovreč Labinski 20 km from Rabac: Beautiful, comfortable villa "Maggie", 2 storeys. 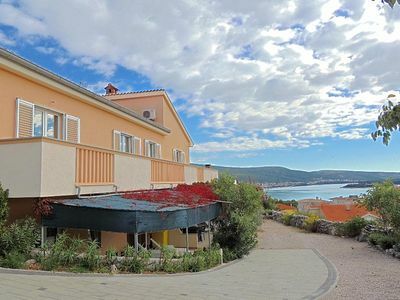 In the hamlet Vlakovo 15 km from the centre of Labin, in a quiet, sunny, elevated position, 4 km from the sea, 4 km from the beach, in the countryside. 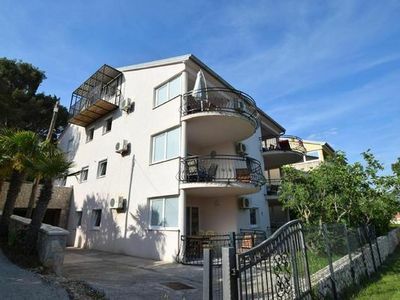 For shared use: property (fenced), swimming pool angular (13 x 4 m, depth 140 cm, 06.05.-16.09.) with internal staircase. Outdoor shower, poolhouse, garden furniture, barbecue. 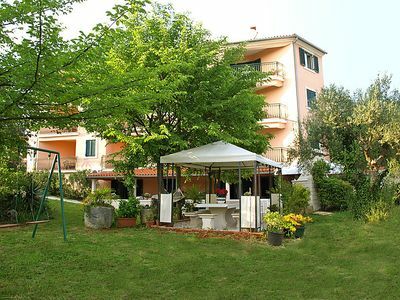 Private: garden 600 m2 with lawn and trees. In the house: central heating system, air conditioning. Motor access (100 m via unmade road, ramp). Parking at the house on the premises. Shop 4 km, restaurant 4 km, pebble beach 4 km, rocky beach 4 km. 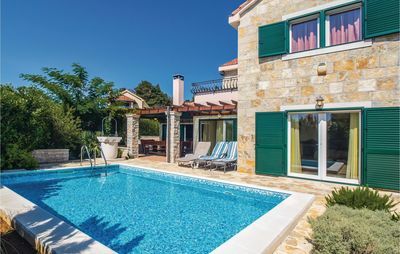 For shared use: 2 swimming pools (13 x 4 m, 8.5 x 4.5 m). 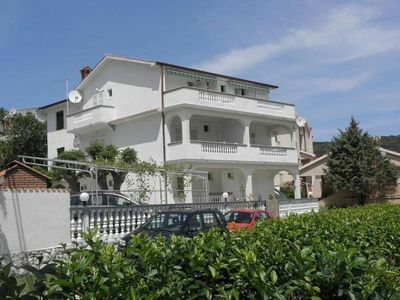 6-room villa 260 m2 on 2 levels. 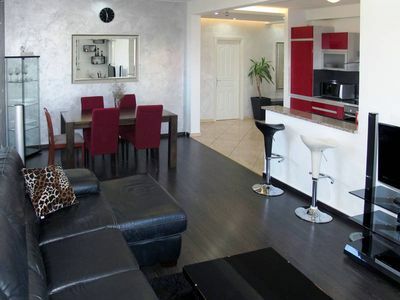 Tasteful and cosy furnishings: large living/dining room 50 m2 with open-hearth fireplace and air conditioning. Exit to the terrace. 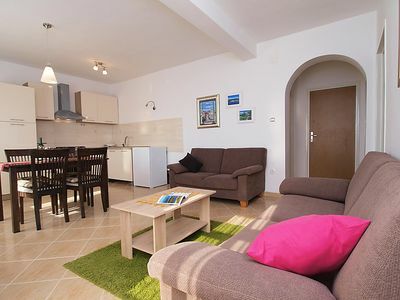 Living room 25 m2 with open-hearth fireplace, satellite TV, DVD and air conditioning. 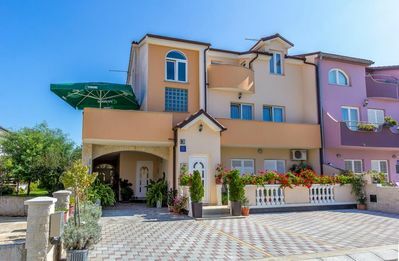 1 room with 2 beds (80 cm, length 190 cm). 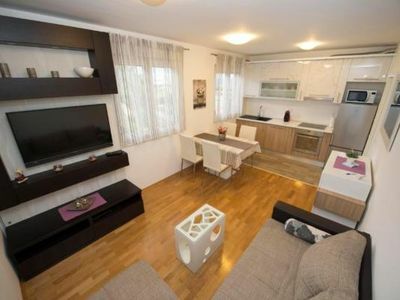 Open kitchen (4 hot plates, oven, dishwasher, microwave, freezer). Bath/bidet/WC. 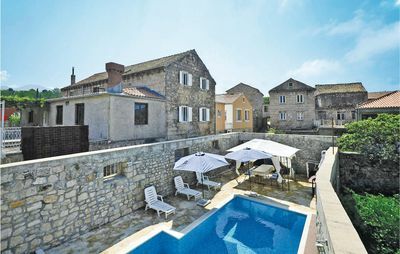 Upper floor: 2 rooms, each room with 1 french bed (160 cm, length 190 cm), shower/bidet/WC and air conditioning. Exit to the terrace. 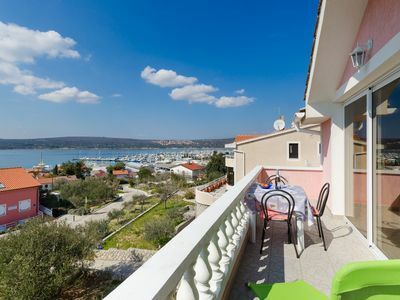 2 rooms, each room with 1 french bed (160 cm, length 190 cm), bath/bidet/WC and air conditioning. Exit to the terrace. 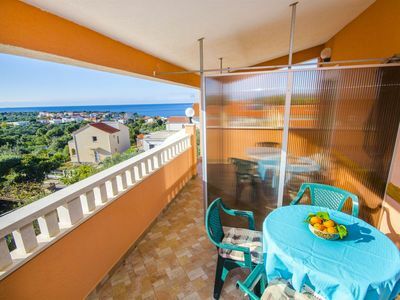 Terrace 14 m2, terrace 20 m2. 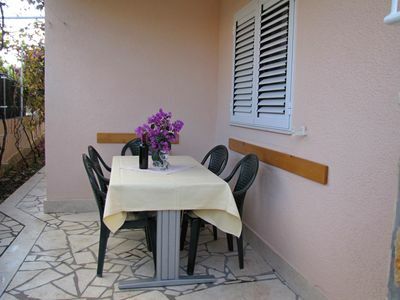 Terrace furniture, barbecue (portable). Distant view of the sea. Facilities: washing machine, baby cot. Internet (WiFi, free). 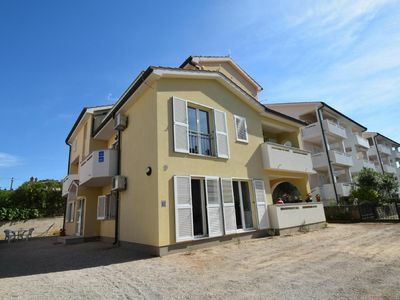 Villa Mihaela - Suite A4 "More from vacation - Road and mountain biking"